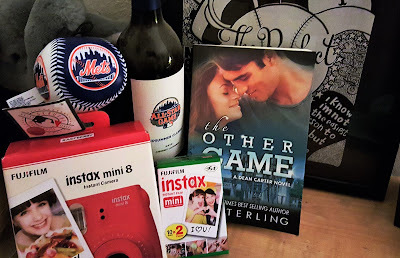 To celebrate the release of The Other Game, I'm having a Jack & Cassie inspired giveaway over on my Facebook author page, as well as my Instagram page. Before Dean's book gets here (or probably immediately after reading it), you're going to want to read The Sweetest Game. Either for the first time, or to refresh your memory/heart. So many of you haven't read it yet and Amazon has put it on the monthly deal, which means this price of only $1.99 will expire on the 31st of this month. Click the link above to purchase your copy.